“Did you have fun hanging out with the OAPs?” was the general gist of the jibes from my friends when I told them that I was at a world sherry day tasting in Dublin last week. 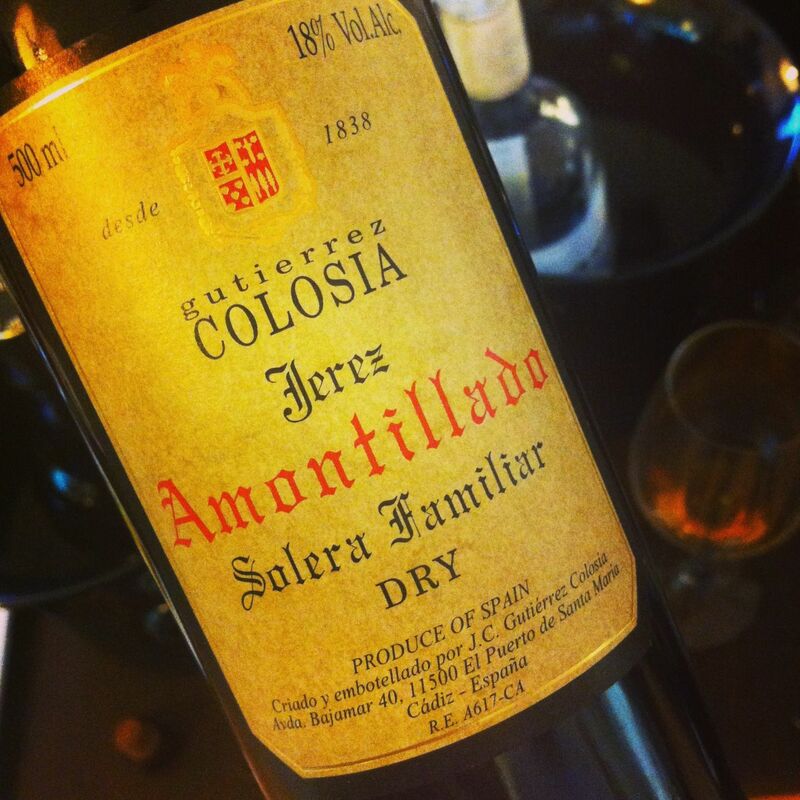 The sherry revolution has yet to scratch the surface of popular culture in Ireland and perhaps the fact that all the jokes were rooted in the old image of a granny sipping sweet sherry at Christmas tells you that the Consejo Regulador still has a lot of promotional work to do on the Emerald Isle. 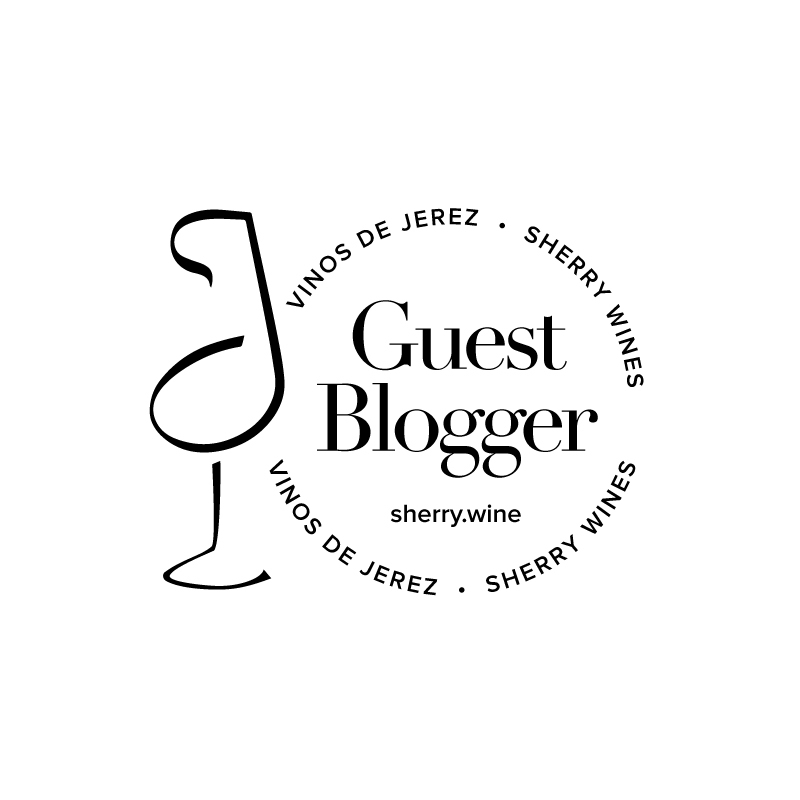 In the past, I’ve remarked that despite all the column inches devoted to sherry, the wine press hasn’t succeeded in connecting with a younger audience. Fun events like the one organised by wine writers John Wilson and Raymond Blake, together with the Spanish Embassy, to celebrate world sherry day go a long way to shaking the shackles of the fuddy duddy image however as I’m sure anyone in attendance on the evening, young or old, would attest. The concept was a ‘bring a bottle’ tasting and part of me feared that we might be faced with not much more than a few bottles of Harvey’s Bristol Cream. My fears were instantly alleviated when I walked into the lobby of Instituto Cervantes and was met by the aroma of fino wafting from the adjoining tasting room. There was a real buzz amongst the crowd with plenty of bottles open for tasting along with some excellent Jamón from Black Pig in Donnybrook, Dublin. I tasted through almost every sherry on offer with the exception of the sweet styles which I omitted purely due to time constraints. Given the party atmosphere, it seemed a little grinch-like to be furtively scribbling down notes in the corner so I discarded my tasting book in favour of a few snaps of my favourites instead. Of the manzanillas and finos, I particularly enjoyed the single vineyard Manzanilla Pasada Pastrana from Hidalgo-La Gitana and the sherry that I brought along, Fino Dos Palmas from Gonzalez Byass. The palos cortado showcased a broad spectrum of styles, my favourites being the spicy Palo Cortado Vides from the Lustau Almacenista range and the intense Fernando de Castilla Antique offering. Surprisingly, there were few olorosos on show although I did find a bottle from Bodegas Garvey that was sadly empty by the time I got to it. 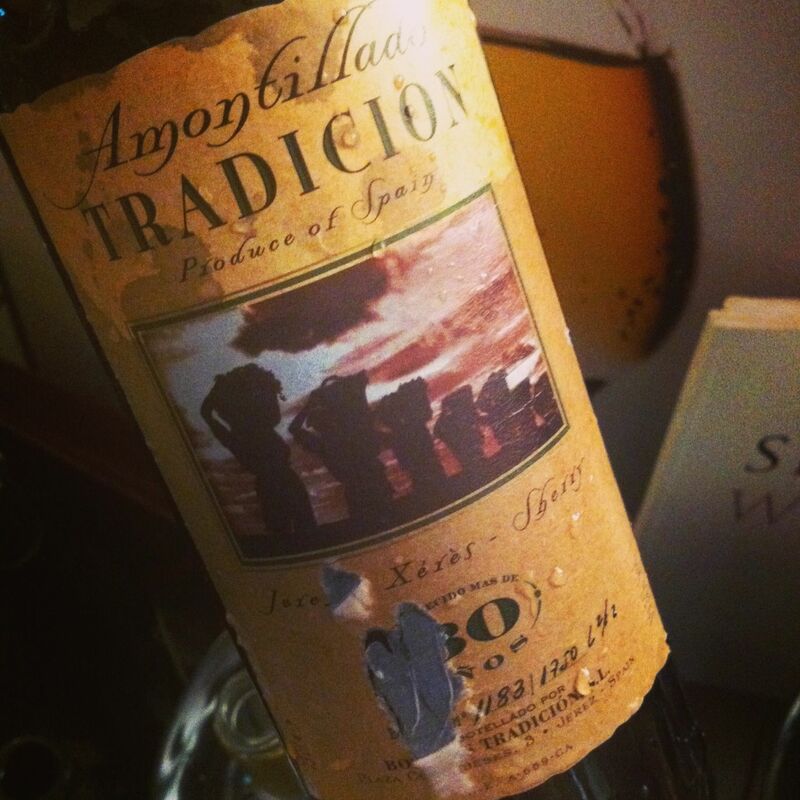 There was also a bottle of Gonzalez Byass Del Duque Amontillado floating around but the label had fallen off it by the time I decided to started to get in touch with my inner David Bailey. 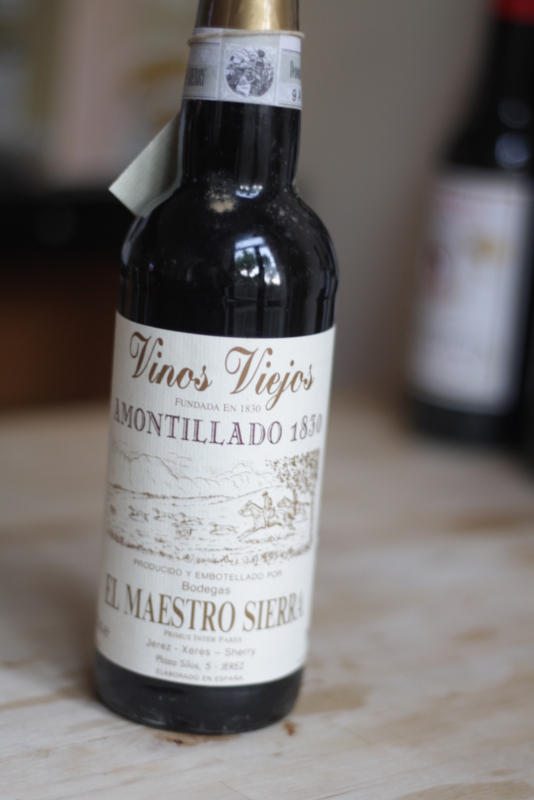 In this collection of old amontillados I found some of the finest sherries that I’ve ever tasted and I’m most grateful to those who delved into their cellars to bring them along for others to sample. 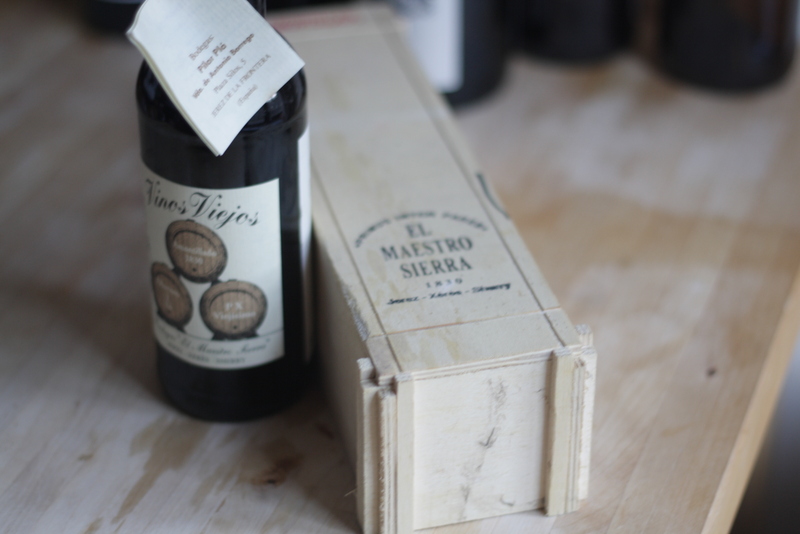 The sherry revolution is in full swing across the world – one only has to look at the success of world sherry day – and while sherry undoubtedly still represents exceptional value, its rising popularity is sure to drive prices higher in future. Now is the time to sample these rare delights before it’s too late. 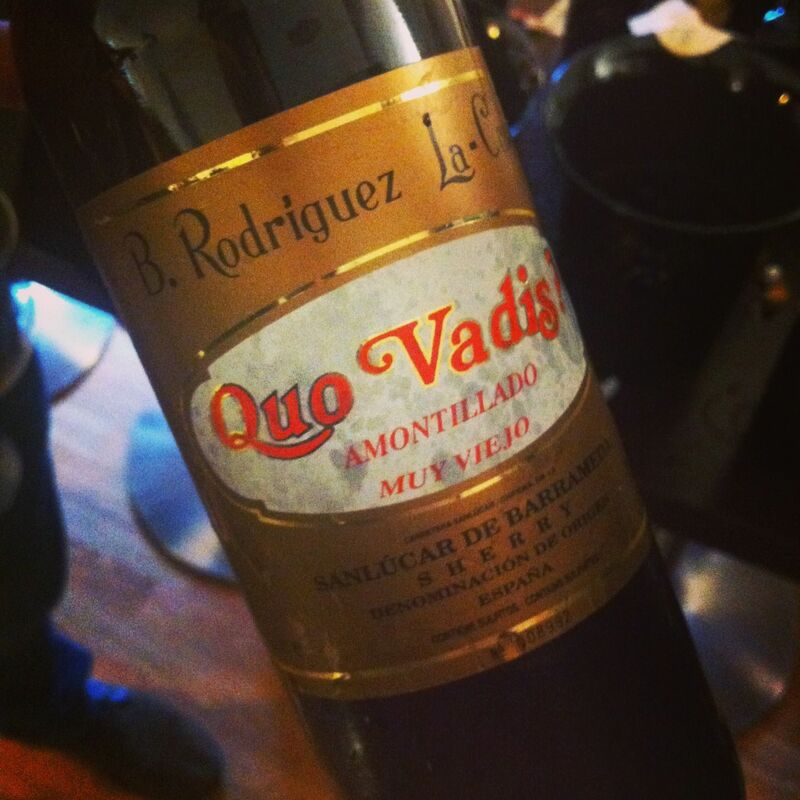 Thanks to John, Raymond and friends for organising the event and again special thanks to the ‘amontillado army’ – you know who you are!